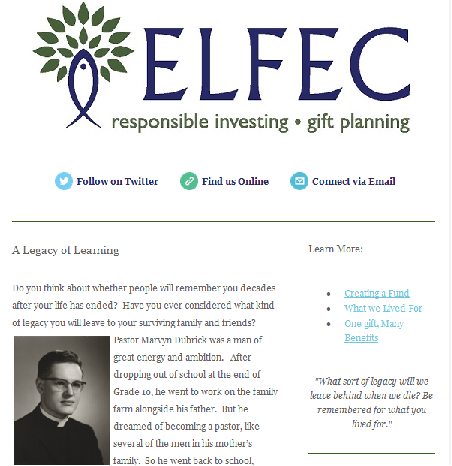 ELFEC News is our quarterly e-newsletter. Our subscribers look forward to hearing from us in February, May, August and November. We cover a variety of topics that we hope will be interesting to you as an individual, a church leader, or both. You can receive a copy in your inbox by subscribing to our mailing list, or enjoy past issues below. Bump, Slump or Dump - What's Next Mr. Trump?